The UK footwear market is growing. Currently valued at around £8bn, it’s a sector with 3% annual forecast growth. The takeover was seen as a “highly attractive investment opportunity” based on further expansion opportunities, both through in-market consolidation, digitisation strategy and international growth, including further rollouts in Asia and Australia. There is also potential to expand the upmarket retailer’s own brand offering into adjacent categories such as the children’s footwear segment. Cinven also said that there is a proven track record of consistent growth during economic cycles, confirming the “highly regarded management team” (CEO Neil Clifford, CFO Dale Christilaw and Creative Director Rebecca-Farrar-Hockley) will continue in their key roles under new ownership. 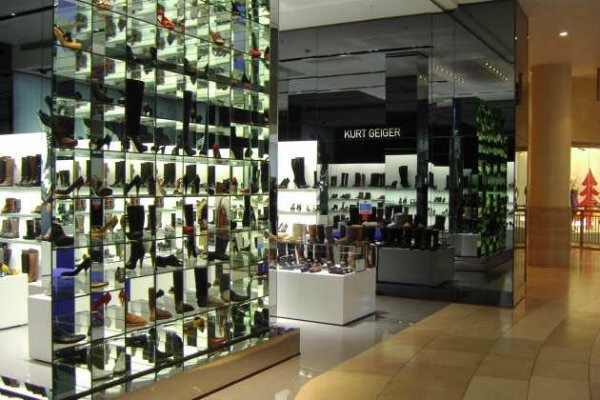 Kurt Geiger is the UK’s largest shoe retailer by sales. In the year ended 31 December 2014, it generated sales of £260m and continues to invest in new and existing outlets throughout the UK. Posted on December 15, 2015, in #retail, #uk, Other. Bookmark the permalink. Leave a comment.